Revisit your childhood and head to Outer Space with Butlers Bingo! This week Butlers Bingo will be putting on an other worldly bingo promotion called Outer Space. There’s £4475BBz up for grabs in this giveaway which will run between 16th and 22nd September. What you need to do is look out for the special Outer Space Game which will play each day of the promotion if you manage to get a Full House you’ll walk away with an extra £4BBz and all of your Nabors will get an extra £1BBz. Once the Outer Space Giveaway is out of the way the Butler has lined up a Beatrix Potter Giveaway worth £5090 and is sure to take you back to your younger years. The special Beatrix Potter Games will play every day between 23rd and 30th September. In these bingo games the Full House winner gets an extra £3BBz, 2 lines are worth an extra £2BBz and 1 line wins are worth an extra £1BBz. All prizes are credited to players accounts immediately after the game, the Butler really is very efficient you know! 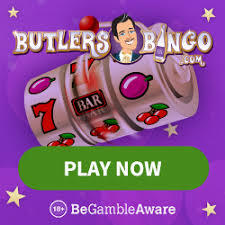 Butlers Bingo gives new members £10 free no deposit bonus which means you get a tenner to try out their site completely free, no deposit required! When you do come to fund your Butlers Bingo account you will receive 150% first deposit bonus and there’s 25% on all of your future re-deposits too!